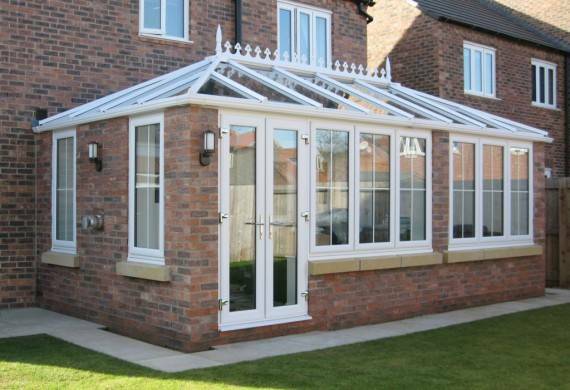 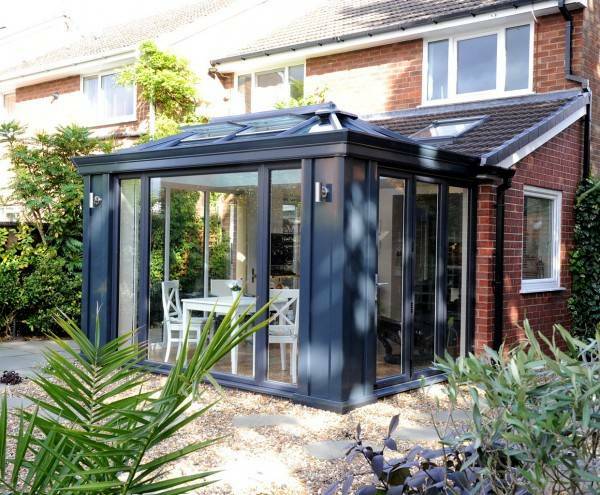 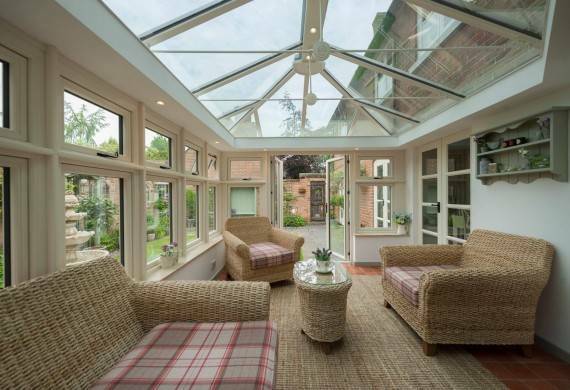 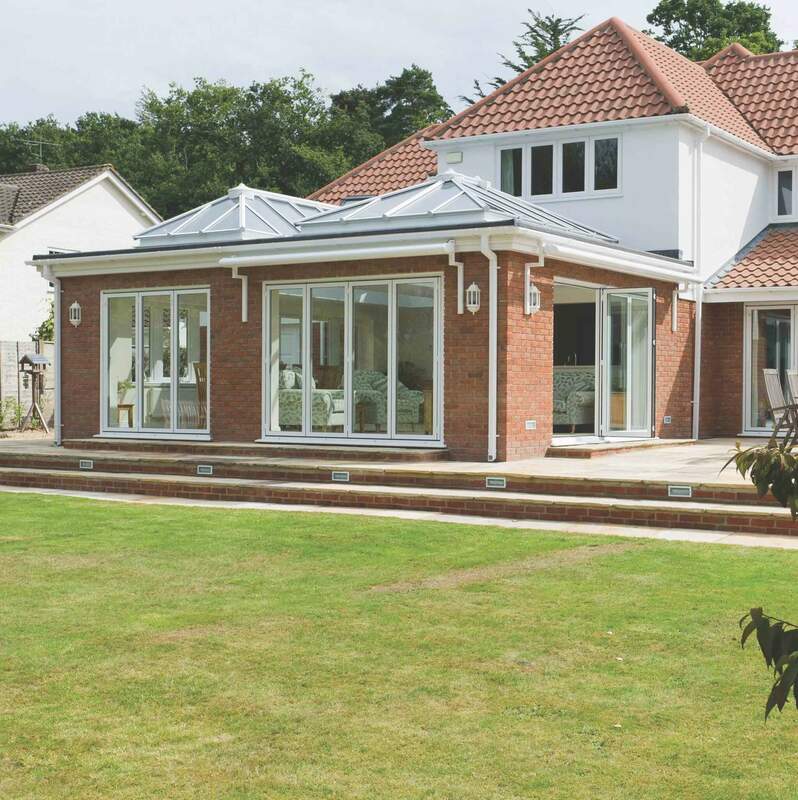 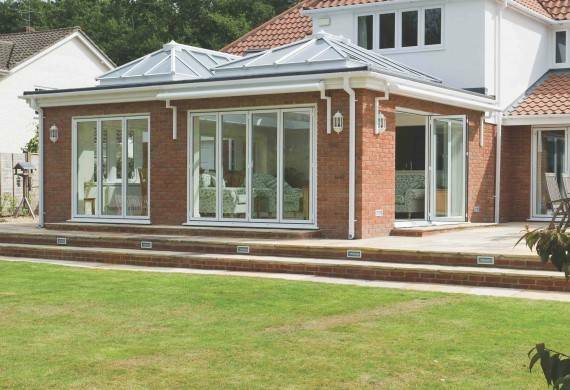 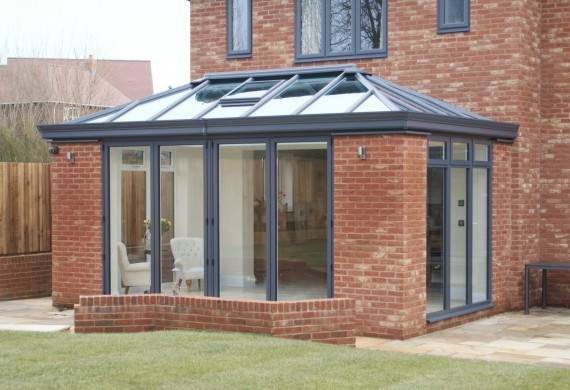 Conservatories & Windows Direct have a choice of different options when it comes to orangeries. 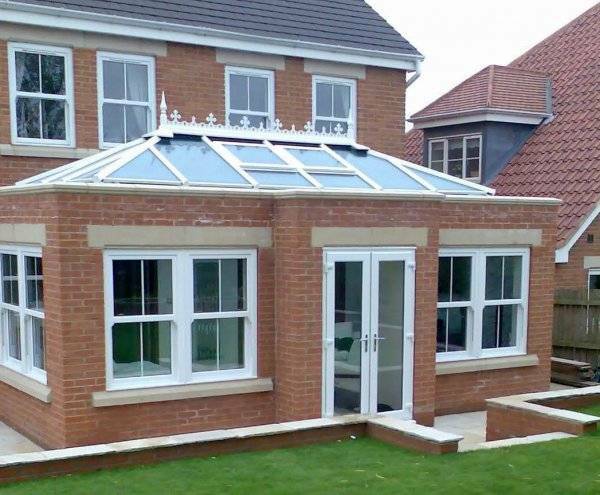 Some people just want to get the look of an Orangery without the cost or for a larger project we can install lintels, stone sills to give a grand appearance. 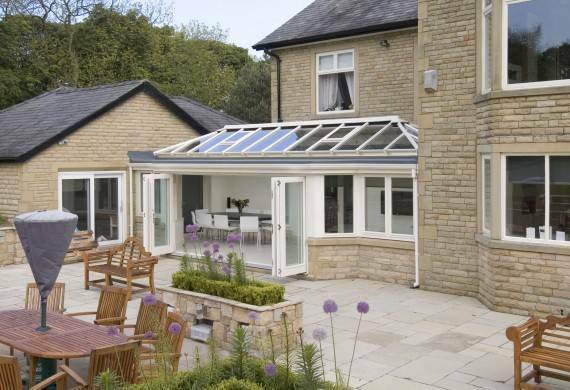 We then can finish your Orangery with lighting, flooring, plastering or sound. 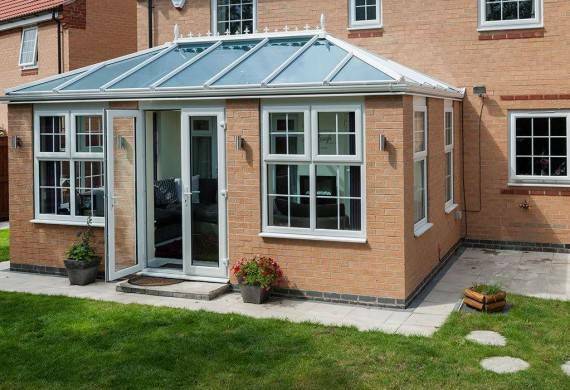 We can arrange for a free visit where one of our surveyors will visit you and go through the options available to meet your requirements and budget. 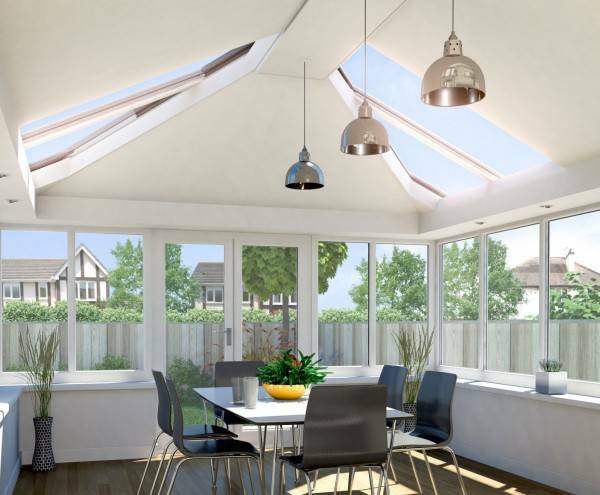 All planning permission will be taken care of with our in-house planning department, so you can relax and we will take care of everything. 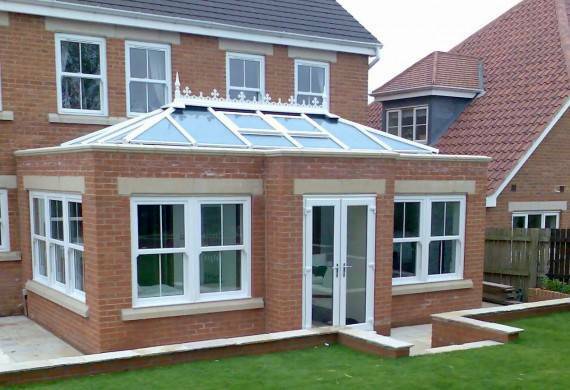 Our Traditional Orangeries are built to a high specification in many designs with or without lintels, stone sills and come with a number of roof options. 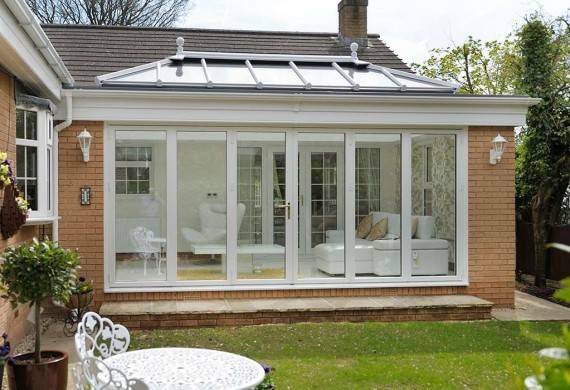 Ultraframe LivinRoom is a Conservatory with an addition of a internal plastered pelmet which can incorporate lighting and an external cornice for that grand appearance. 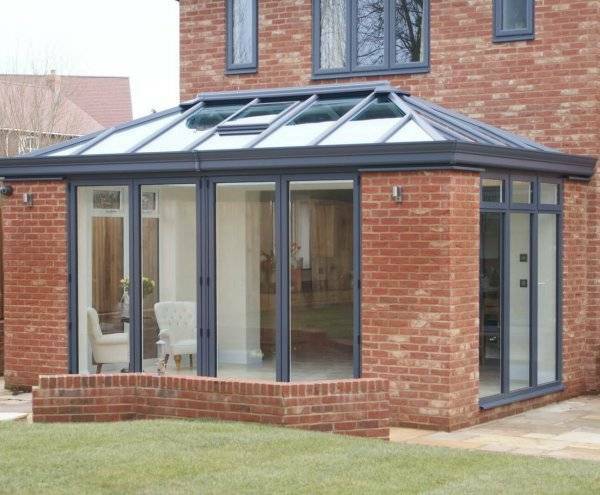 Ultraframe LivinRoof incorporates solid grey insulated aluminium panels on the outside and insulated and plastered on the inside. 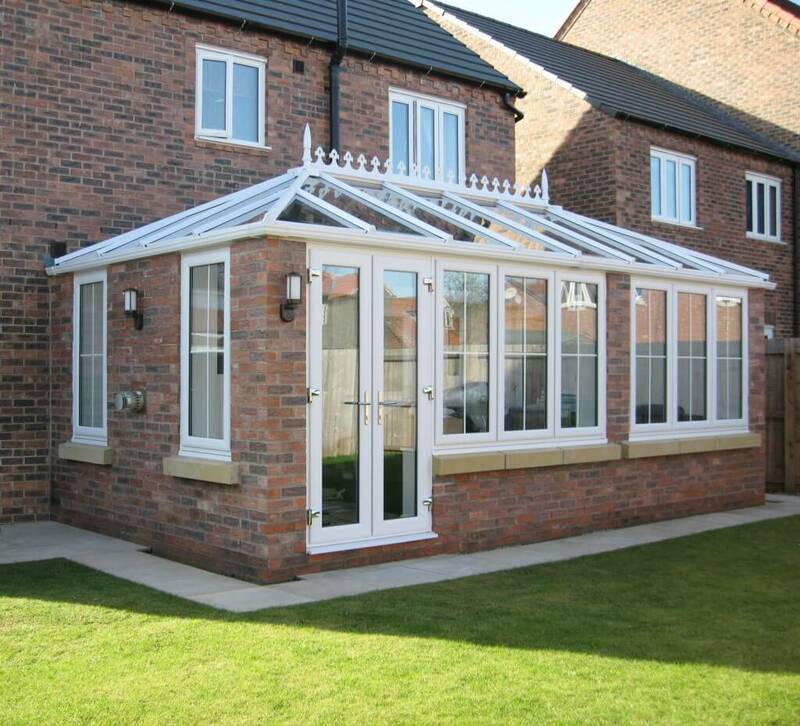 Ultraframe Loggia is the addition of insulated feature columns which can be added to either the LivinRoom or the LivinRoof.